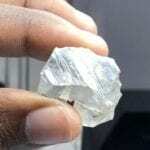 It is the fifth 50-plus carat diamond recovered from the Mothae mine, which began commercial production in January 2019. 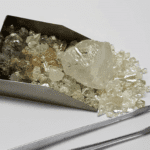 The news follows the recovery of a 51.2-carat diamond in February and special diamonds weighing 78 carats and 89 carats from the company’s 2018 bulk sampling program. The Mothae project is a joint venture between Western Australia-based Lucapa and the Government of the Kingdom of Lesotho. 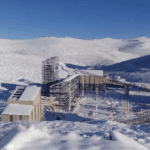 “Lucapa looks forward to updating the market on the first quarter of commercial operations from the new Mothae mine as part of the company’s upcoming quarterly activities report for the March 2019 quarter,” said Lucapa managing director Stephen Wetherall in an ASX statement. Mothae, which has a production capacity of 1.1 million tonnes of ore a year, is the company’s second high-value mine. First sale from Lucapa’s Mothae plant was held at a tender in Antwerp, Belgium in February this year, securing $5.3 million in sales from a parcel of 5411 carats of rough diamonds. 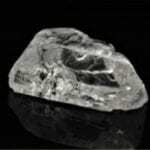 The highest individual price achieved in the sale for a single diamond was $US35,664 ($51,354) a carat. Lucapa’s flagship asset is the Lulo diamond project in Angola, which has produced more than 12 diamonds weighing more than 100 carats to date and currently holds the highest US dollar price per carat for an alluvial diamond mine. The company also has early stage exploration projects at Brooking in Western Australia and Orapa Area F in Botswana.